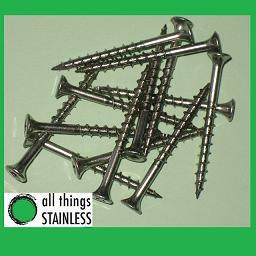 Stainless Steel Decking screws are available in packs of 100 and 1000. We recommend using 50mm screws when installing boards that are thinner than 19mm and 65mm screws when installing boards that are thicker then 19mm. All stainless decking screws have a square drive (No.2) and have a type 17 tip.